With META Multibloc mobile racks, the operator aisles required for conventional pallet racks can be used as storage space. Acquiring a mobile racking system is also worth while if you want to reclaim production space within your existing buildings, or if you would like to bring down your energy and operating costs – for example in deep-freeze storage locations where it is important to make optimal use of every cubic-metre of refrigeration air. 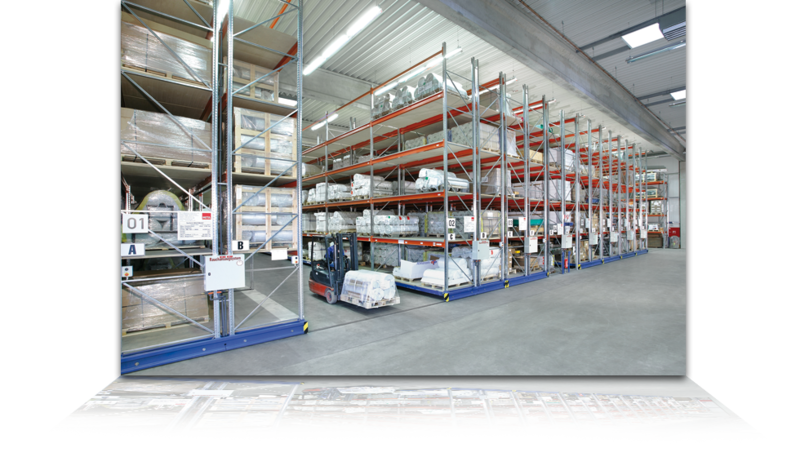 A mobile racking store can be fully integrated with the production processes – as a buffer store between production and shipment or as the semi-finished item store at the assembly point. Purchasing a mobile racking system rather than a new building is far more cost effective ! Energy and operating costs are reduced. Floor space is regained for production , and aisles/alleys are turned into usable storage space. The aisles can then be opened only when needed, thus ensuring compact storage and optimal use of space. The mobile racking system can be extended or converted at any time. It can be combined with other META systems. An extensive range of accessories is available. META MULTIBLOC is compatible with the widest variety of stacker trucks. As the user, you can select from various types of control system. META high-quality components ensure safe and precise procedures and reliable and continuous service. Every truck has one or more electric motor drive systems, consisting of a motor, transmission and shaft bearings. Powerful, maintenance-free gear motors ensure smooth start-off and braking and a smooth approach to each rack row, as they act simultaneously on all running wheels on the same longitudinal side at the same time. The rack rows can be moved individually or as a block, at a speed of 4.5 m/min. with reliable and continuous operation. Moving a number of rack rows simultaneously as a block saves time and ensures efficient storage and removal. Each row can be moved individually, which means less loading on the drive units of each row. Large rack units may and do have side wall lengths of over 50 m, rack heights of 11 m, and support bay loads of up to 22.5 t.
The electrical system meets standard VDE 0100. Service & Maintenance: META MULTIBLOC mobile rack systems are compatible with other META racks and can be converted, extended or upgraded at any time – they can grow along with your wishes and requirements, and they are long-lasting. META offers you a maintenance contract with maintenance carried out once per year . 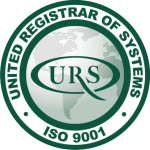 With this contract, your system is checked out for functionality and safety by specially trained personnel.